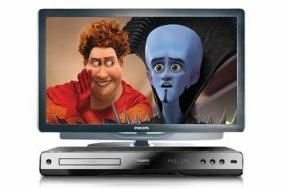 Win a Philips 3D TV and Blu-ray player worth £2500! | What Hi-Fi? Win a Philips 3D TV and Blu-ray player worth £2500! We have two Philips 46PFL9705 3D TVs and BDP 5180/05 Blu-ray players to be won this month in a £5000 prize fund. The 46in '9705 scored a strong four-star verdict in our December 2010 3D TV Supertest: “Our copy of The Golden Compass looks splendid in the Philips' hands,” we said. There are few better ways of entering the wondrous new world of 3D in the home. To enter, head on over to our competition page. COMPETITION CLOSES JANUARY 9th, 2011.